ISRO released notification for recruitment of SCIENTIST/ENGINEER. 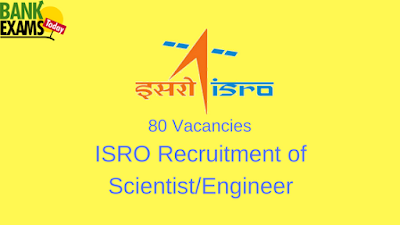 Indian Space Research Organisation [ISRO]/Department of Space Centres/Units are engaged in Research and Development activities in development of Space Application. 35 years as on 05/10/2017. Application Fee : Rs. 100/- for each application.